When Charles drops a new video, you stop and take a look because his tricks are always worth it. Return top used is the A-RT Grail. Ending is NSFW for language. 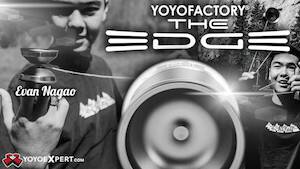 The New York YoYo Club is one of the most consistent and popular groups on the East coast. 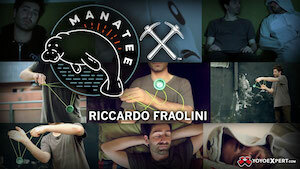 They recently decided to start doing video player profiles, highlighting some of the regular attendees and their style. Pretty cool concept to promote the club and help spread the word on players. With two videos out already, be sure to keep any eye out for more on their YouTube channel. Check the first two videos below. In the last year or so, there has been a surge of interest in a skill toy called Begleri in the last year. Begleri consists of one or more beads at either end of a short string or fine chain. The toy can be flipped and twirled around the fingers to perform tricks. MonkeyfingeR was definitely where I first saw it. Now they are starting up their own Begleri team. Interested in joining up with them? Well head over to their website and hit them up by emailing them a short 30 second clip and a brief “Who am I” video. Hey gang its time MonkeyfingeR Expanded our Minions Begleri Team. If you think you have the flipping chops to join us. Drop us a 30-second vid and tell us about yourself in an email. 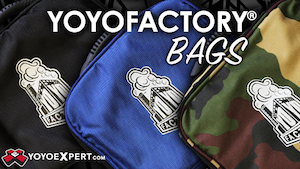 Head on over to mfdyoyo.com Video quality counts! Good luck! GSquared teamed up with Daniel “Zammy” Ickler for a new signature yoyo that’s a true beast to be reckoned with. With multiple yoyos designs under his belt, Jacob Gross (owner of GSquared) felt that it his next design should take some elements from a seasoned thrower. This is where Zammy comes in. A well known name in the community, he was awarded Trick Innovator of the year in 2014, and a master of the sub style Möbius. The Wolf has been in the works for almost all of 2016. G2 has been working closely with Zammy to create him a signature yoyo. I have been making some of the highest quality yoyos for almost 5 years now. This time I wanted the challenge of making a yoyo for someone else’s preferences instead of what I wanted. Zammy was the perfect fit for this. Trick Innovator of the Year in 2014, and one of the best known players in the world, it only made sense to set it up as a collaboration. Zammy told me everything he wanted in his perfect yoyo, and I did my best to create a yoyo for that. Slight changes to the first proto, and we have done just that with the Wolf. The Wolf is a big comfortable H shape yoyo. The Wolf is expected to be released on Wednesday, November 23rd. The initial release of the Wolf will come in three colors: Andromeda, Warpath, and First Blood. Rising from the depths of the dark ocean, Radical Seas has given us a first look of their latest yoyo, the Oracle! With bi-metal designs flooding the market, Radical Seas wanted to approach their newest design in a unique way by producing it with either brass or copper ring. Check out full specs below, and keep an eye on the Radical Seas’ Facebook and Instagram pages for more details. The Middle Eastern community has been steadily growing and it is fantastic to watch. I definitely look forward to seeing some more stuff from these guys in the future. YoYoJam had one more surprise hiding up their sleeve since after closing their doors. They just announced on Facebook that they filmed a spot for Science Channel’s Machines: How They Work television show. Be sure to check it out tonight at 10:00 pm EST. 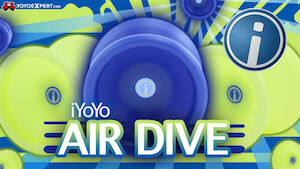 They honestly couldn’t have picked a better fitting yoyo to showcase in the promotional picture. Ryan La Grou showcases both of Sengoku’s latest models in his new video Senogku Team: Dream On. I’m a sucker for good yoyo videos with bamboo and waterfalls in the background. Makes it seem more majestic. Yoyos used are the Sengoku Hideyoshi and Masamune. 2Sickyoyos joins Club Titanium™ with their newest model, the Rook! Though the production run will be limited to 50 pieces, the Rook will definitely be worth the pick up especially in the myriad of options in colors they will provide. Honestly, 2Sickyoyos have out done themselves again on this fantastic yoyo. 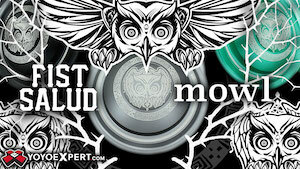 It will be released direct on 2Sickyoyos’ website as well as YoYoExpert on February 27th . With this new year approaching I’d like to take the time to introduce you to our next release, The Rook. Many may remember that we attempted to prototype the first Rook which was a bimetal earlier this year. However upon a few attempts the Rook was put on the back burner. I have since come back to the name and completely scrapped the bimetal design. I decided lets redesign it and make it even better. The Rook is a full sized Titanium design. The prototypes have come in and I am truly excited for this release. It’s stable, long spinning, dead smooth, and makes the amazing ringing noises we all love. Production run is going to be released early in 2016. With the rarity and cost of titanium this is limited to only 50 Pieces in the production run. We will also offer anodized versions available in a few different colors.